Chicago, Illinois, 2018-Feb-05 — /EPR EDUCATION NEWS/ — With the stock market recently reaching dizzying heights, a program called Stepping Stones is providing parents with a fun means to educate their children on the workings of stocks and bonds. Being sold on Amazons’ Kindle store at the following link, the resource uses reading comprehension and mathematics to introduce third grade level children to a topic most of them won’t learn about until much later on in life (if at all). 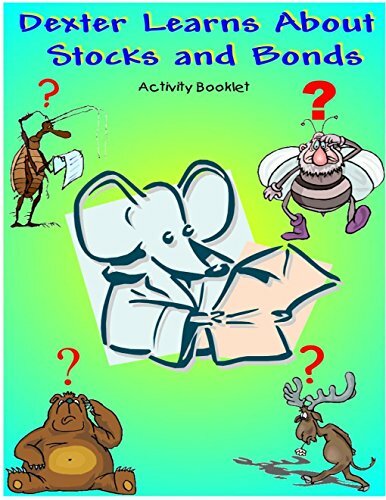 The primary character in the series is an inquisitive mouse called Dexter, who through the three books Dexter Learns About Stocks, Dexter Learns About Bonds and Dexter Learns About Stocks and Bonds Activity Book, uses interactions with his friends to educate children on the subject matter in a way which is both fun and entertaining. “It was important to make the character easily identifiable to children, so that they would become and remain engaged in the lessons being taught.” said creator of the program Anthony Rhodes. Mr. Rhodes has been in the investment management business for many years, and developed the program as a means of providing parents with a resource for giving their children an early edge on a topic which normally has a veneer of mystery surrounding it. “At some point in their lives, these children will grow up and have to deal with stocks and bonds, so gaining an understanding of their workings at an early age provides them with that much more of an advantage.” he followed.